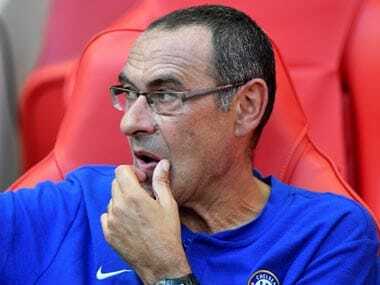 London: All eyes will be on the Chelsea team sheet at Stamford Bridge on Wednesday to see whether the fall-out from Maurizio Sarri's astonishing row with Kepa Arrizabalaga drags on into the crucial London derby against Tottenham Hotspur. 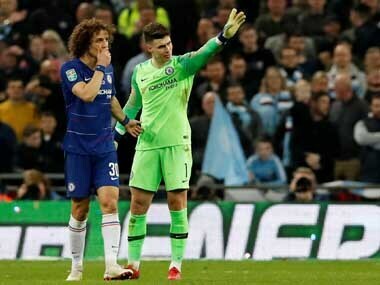 Chelsea boss Sarri was furious when Blues goalkeeper Kepa refused to be substituted after needing treatment in the closing stages of Sunday's League Cup final against Manchester City. Chelsea eventually lost 4-3 on penalties after a goalless draw, but that blow paled in comparison to the problems caused by Kepa's rebellious behaviour and Sarri's raging response on the Wembley touchline. 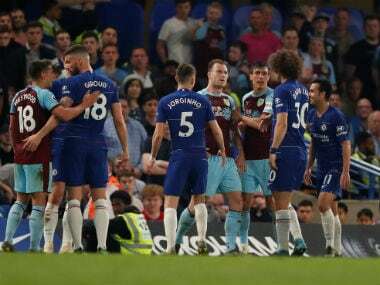 Arrizabalaga was fined a week's wages and apologised for his actions, while Sarri blamed a "misunderstanding" and said he had had a "good conversation" with the goalkeeper. But the sight of Kepa staging a mutiny in the middle of Chelsea's biggest game of the season laid bare the problems Sarri has been struggling to resolve. He tried to regain control of the situation by claiming the incident was caused by a delay in getting information from the team doctor about the extent of Kepa's injury. That hardly excused Kepa from such disrespectful behaviour and few could have been convinced by the Spaniard's insistence his actions were misinterpreted because he had no intention of disobeying Sarri. He looks set to remain in charge for the Tottenham match at least. Now the question is whether Sarri will allow the 'keeper to retain his place in the team. "What he has to do now is to make sure Kepa knows that he was in the wrong. 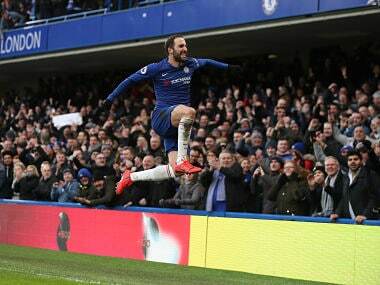 That absolutely does weaken his position and make it look as if the player had more power than him," former Chelsea star Pat Nevin said. Letting Kepa get away with such insubordination would be a huge gamble, even though Blues defender David Luiz insists Chelsea's stars still respect Sarri. "I'm sure if Kepa knew the coach wished to change him he would have come off because he is a great professional. He is a great boy and would respect that. The coach has the power over the group. He has our respect," Luiz said. Sarri's team have lost four of their last seven games, a painful period that has seen them drop to sixth in the Premier League, crash out of the FA Cup and lose the League Cup final. It is even more frustrating for Sarri as Chelsea's dismal run started just after they showed signs of a revival by beating Tottenham in the League Cup semi-final. That rare success is a distant memory now and Sarri must hope the Wembley fiasco can somehow trigger a seige mentality in his team. With Chelsea already three points adrift of fourth place, another defeat could be the end for the Sarri era after less than a season. Meanwhile, Mike Dean has been removed from fourth official duties at the Bridge to avoid further conflict with Tottenham manager Mauricio Pochettino. Pochettino marched across the pitch following Saturday's defeat at Burnley to confront Dean in a heated exchange that earned him an improper conduct charge from the Football Association. Pochettino was seething about key decisions that contributed to Tottenham's first defeat in five league games. Tottenham are six points behind leaders Liverpool, but the one bright spot was Harry Kane's goal-scoring return after six weeks out with an ankle injury. "We don't always want to be having to react from a poor result. But we'll dust it off. We've still got a lot to play for. We're in the hunt for the Premier League, we're still in the Champions League so we're in a good place," Kane said.